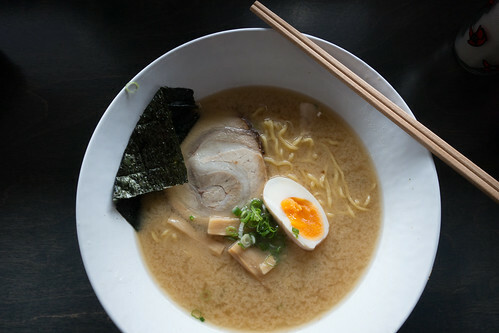 Shizuku on Victoria St, is another Ramen place making its mark in Melbourne and spreading out from the CBD. 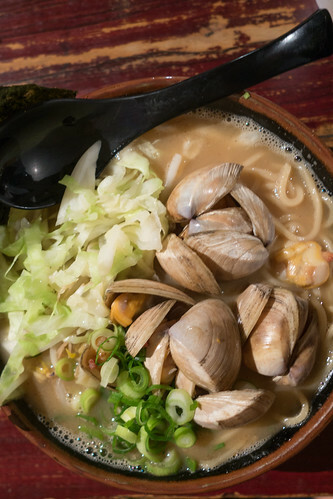 While ramen is their specialty, it also prides itself on the craft beer offerings, with of course, a large range of Japanese beers, local and worldwide varieties. 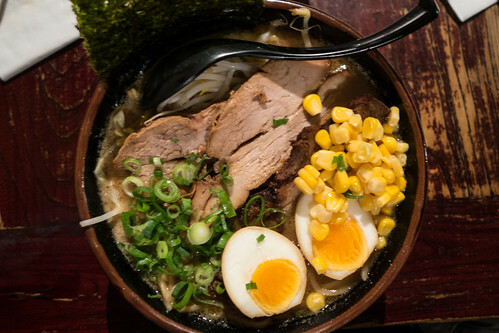 Ramen doesn’t come cheap though, with an average ramen costing $15 plus, however if you are able to dine there during lunch you are able to select one of their lunch specials. 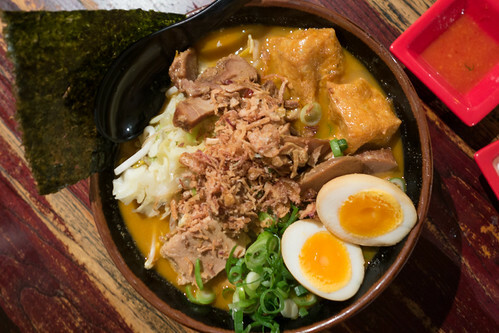 Their Tonkotsu Miso Ramen comes with bamboo shoots, cha shu pork belly, Japanese style eggs with a very flavourful miso pork broth. I found it to be quite reminiscent of the many ramen shops in Japan in terms of flavour but more sparse in ingredients here. 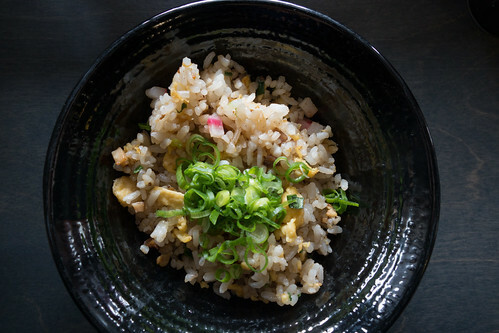 Shizuku’s Fried Rice also is quite flavourful, and the spring onions add a nice freshness to it. 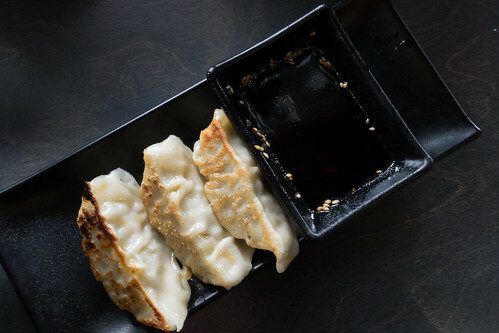 The gyoza filling is also tasty with the hint of ginger and pork flavour with crispy skin. Shizuku’s Shoyu Ramen with cha shu, bamboo shoots and egg in a lovely clean tasting soy sauce broth again hits the mark. It’s quite a tasty meal and decent for their lunch special. Value for money during lunch but questionable for dinner. 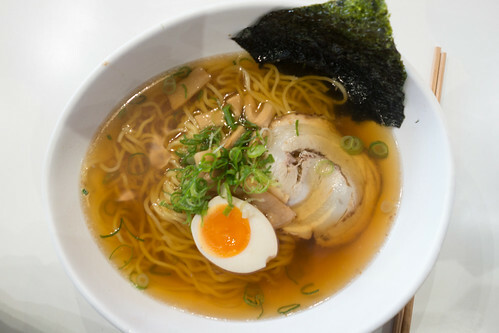 Delicious Ramen dishes and would be fantastic with a cold one during warmer weather. On our first half day to Vancouver, just minutes away from our hotel we found Ramen Sanpachi. We arrived after lunch peak so seating wasn’t an issue and after eating predominantly French and Western cuisine for a week or so we were craving something a bit asian. 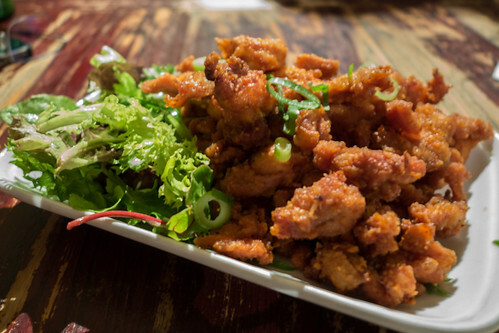 Luckily, around Robson Street, and the West End there are plentiful Japanese eateries around to choose from. 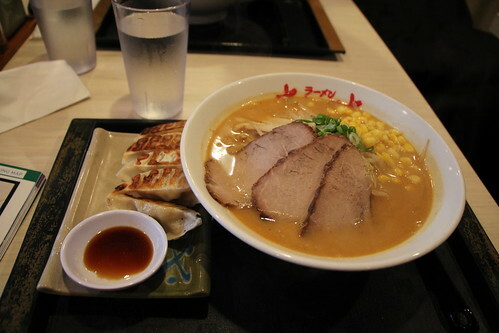 Ramen Sanpachi as the name suggest, serves up ramen with your choice of soup base. It’s something I’ve never really found back in Melbourne apart from one or two restaurants from my recollection. 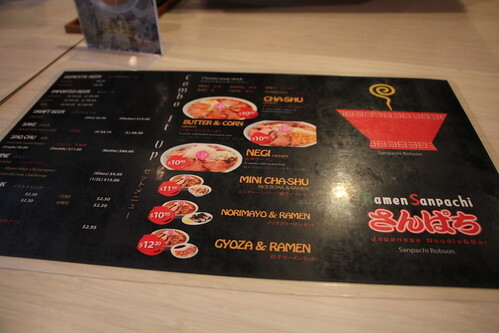 They have six different soup stocks; Miso, Shoyu, Spicy, Shio, Yatai and Tonkotsu. I ordered the Gyoza and Ramen with Miso base for something different. I didn’t feel the soup base tasted like Miso but seemed more of the generic ramen soup stock with a tad sourness. It’s a large serve, and luckily I was in a group because I couldn’t finish the Gyoza all by myself. The ramen was nicely cooked, not too soggy and and just enough bite to it. I didn’t really have an opinion either way with this dish, it was neither spectacular or disastrously bad. The Gyoza was nice and crispy on the outside, had a gingery meat filling inside. The pastry to filling ratio was what I preferred as I don’t like my gyoza/dumplings to be too meaty. 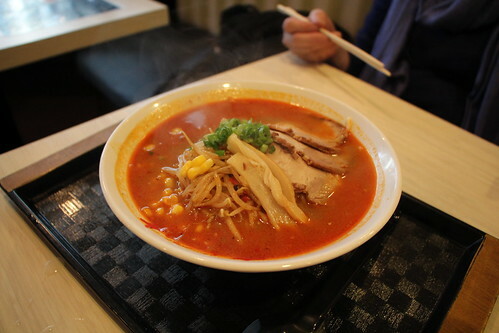 We also ordered the Spicy soup base for Cha-Shu. I actually really loved the taste of the spicy stock base, it wasn’t overwhelmingly spicy but just gently tingles your tongue and adds something extra to the stock which is lacking in the Miso. Maybe adding Togarashi to the soup would have made it better but this by itself was quite delicious. 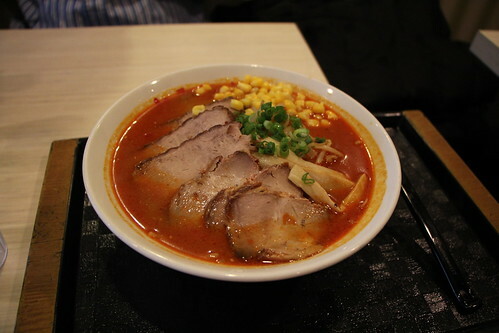 Also ordered was the Spicy Ramen which has a similar taste to the Cha-Shu ramen with Spicy soup stock and has basically all the same ingredients, corn, slices of pork, Japanese mushrooms. Again, the spicy stock makes the dish. It’s probably because you hardly get that back in Melbourne but might be very common in Vancouver. Ramen Sanpachi isn’t the tastiest Japanese restaurant I’ve dined in but I didn’t mind the food. As mentioned before, it’s above good. Nearly great, but not quite there. They serve large dishes that would most definitely satisfy you on a cold day and well for the price I believe it’s reasonably priced. There are probably better Japanese restaurants in Vancouver, but I wouldn’t say no to eating there again.